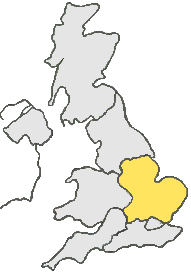 Many business deliveries in the East Anglia region either start or end in Norwich, due partially to Norwich being the second largest city in this area, only rivaled by Ispwich. Courier Expert are here to ensure your urgent same day delivery from Norwich, gets to it’s destination intact and on time. So whether you’re a business or an individual based in the Norwich area or whether you have a small parcel to send, or a huge pallet load, Courier Expert are here to help. So, if you’re looking for a Same Day Courier Norwich call us now on: 01603 291010.